Spend the day at my office? My goal is to help you visualize a different marketing future, to find several take-me-home marketing breakthroughs and to share practical, inexpensive-to-implement advice about taking your company to the next level. You’ll probably learn as much from your peers as you do from me. Because it’s a small group, we’ll be working on your specific issues, evaluating your web site, talking about how you can reach the right people with the right message. We’ll step back and look at business models and on what’s working and what’s not (offline and on). And everything will be focused on things you can do tomorrow. 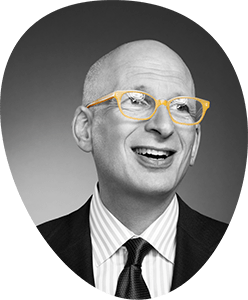 sethgodin@yahoo.com. Put the phrase “practical breakthrough” in your subject line. Sooner the better.